Well, this community/forum is exactly what I was looking for and it is great to be here. Starting a "build thread" as much for my own archiving/knowledge as any other visitor's benefit, but anyone is welcome to comment and participate, give advice, etc. My love for this chassis began in the deserts of Kuwait in summer/fall 2001, haha. If you needed a civilian transport vehicle from Camp Doha, it was either a Mitsubishi Pajero or a baller XJ, thus my username. 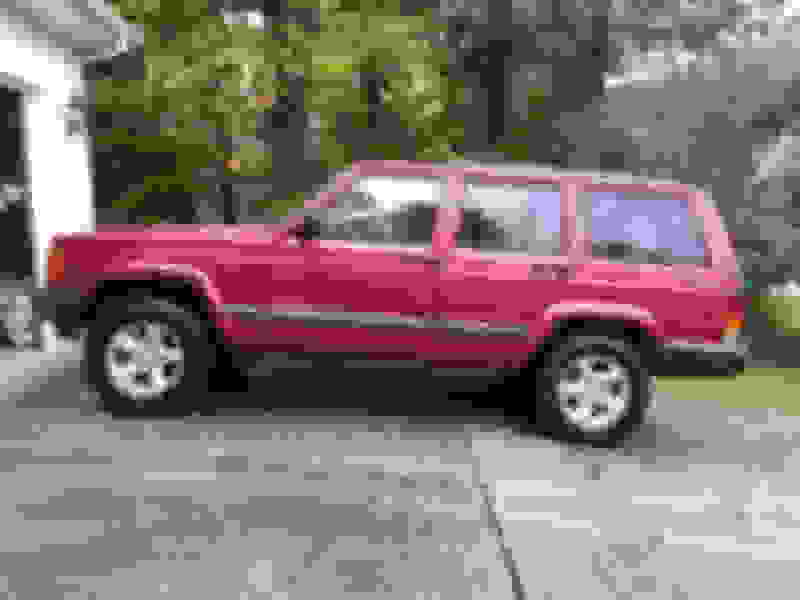 Have told myself ever since that I would someday own a Beretta 92F (M9) pistol and another Jeep XJ, after my '90 XJ Laredo phased itself out of my life when kid #2 arrived. Fast forward to this Fall when kid #1 completed her driver's ed, and we started looking for a 3rd vehicle for the fam. My brother bought this 99 Cherokee Sport about 5 years ago, and it was a logical choice to accept his invite to purchase it this year! 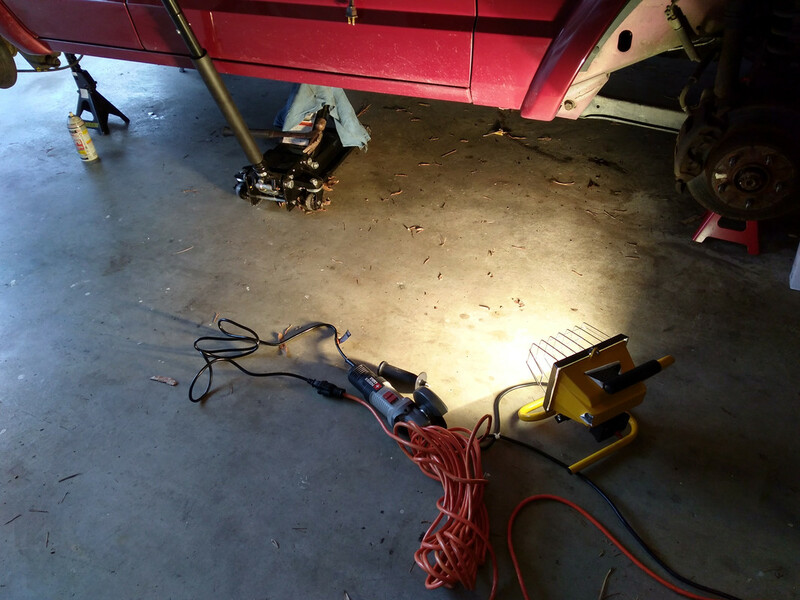 For now I am deep cleaning, fixing stuff, getting it reconditioned. I pulled the side trim pieces off because of damage/peeling, and used my 3M Stripe Off wheel to remove the adhesive and 20 yr. old glue from the trim pieces. That thing is basically like magic. 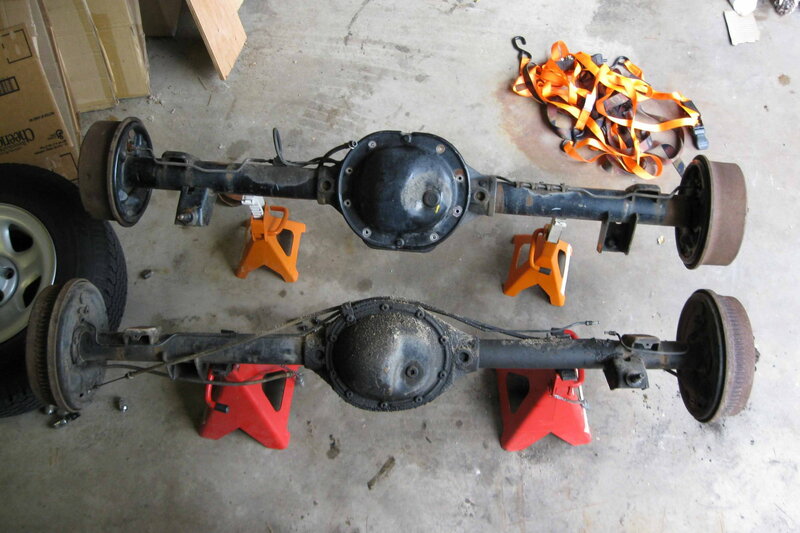 No pics yet, as I am currently reconditioning the paint and have a ways to go. 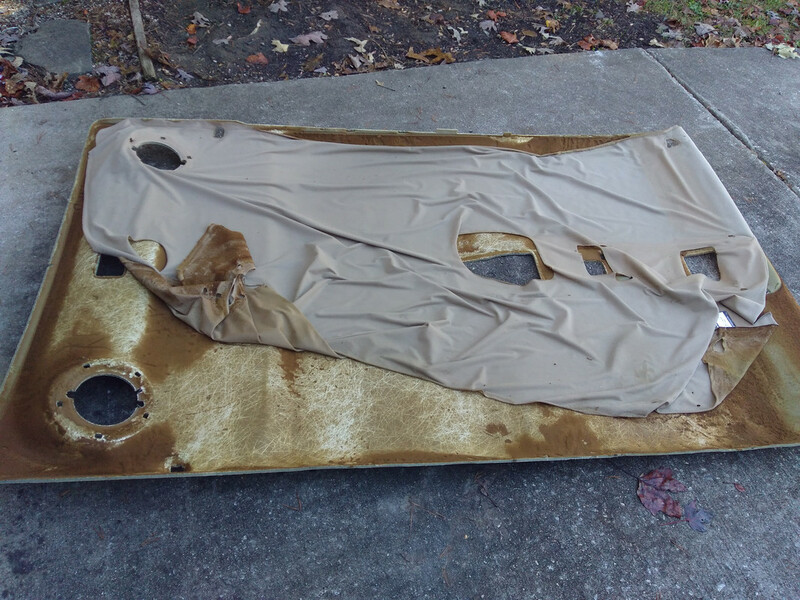 Dropped the headliner next, and I was prepping for fabric replacement when winter hit Central NC, so that may be a project I finish next spring. 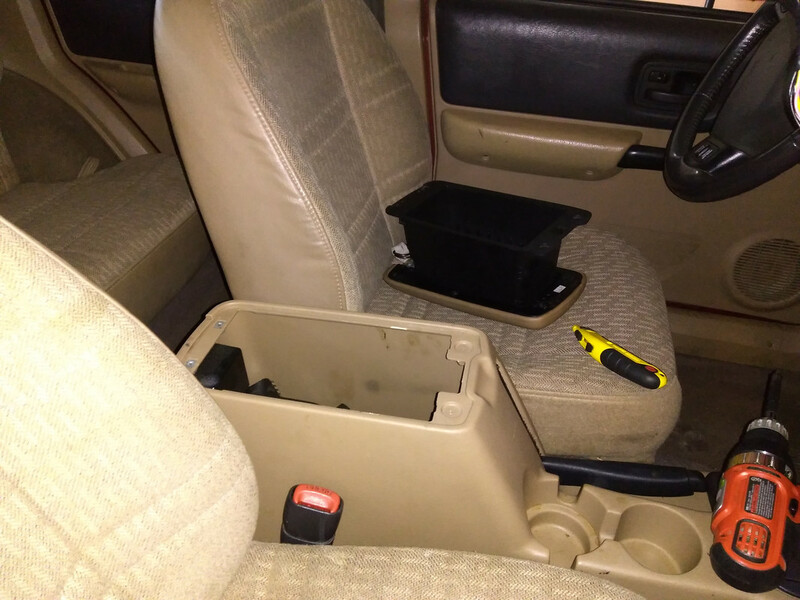 Very early I decided that the center console wobble was unacceptable, so I purchased and installed a nice solid steel aftermarket support bracket on eBay (refitting-club). Thing is solid as a rock now! 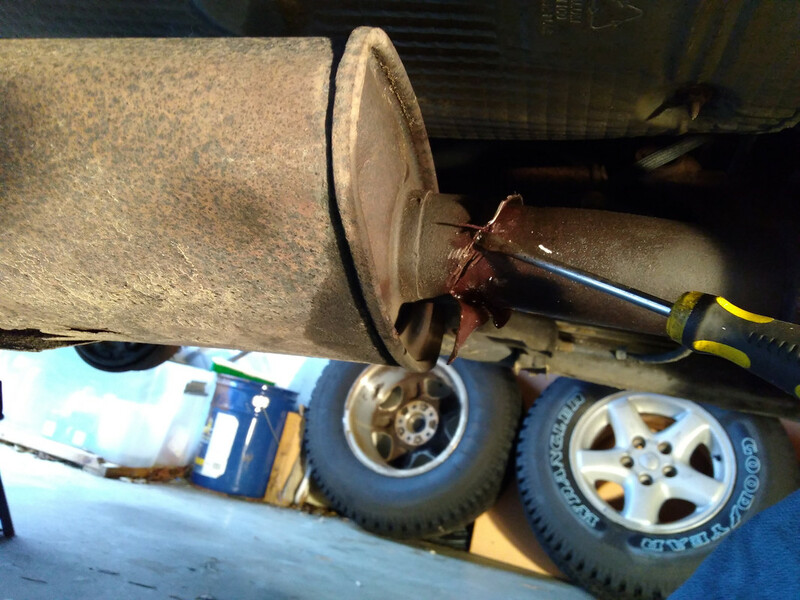 I'm also prepping a Dynomax "Super Turbo" cat-back to replace the rotten OEM muffler setup, and should have pics and install soon. 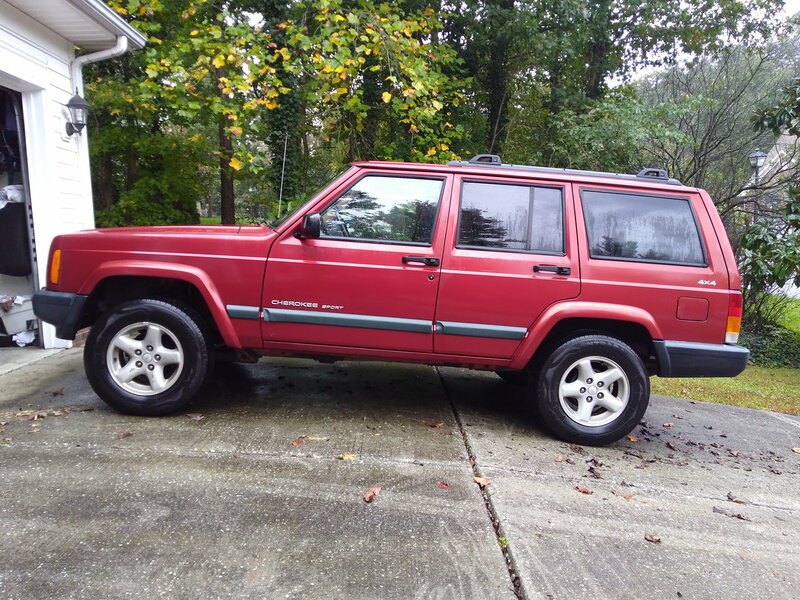 Pretty motivated by this Jeep, and forum threads here continue to be extremely helpful. welcome to the site ,looks like a nice start ,looking forward to the build . thank you for your service !! welcome, looking forward to watching this one. 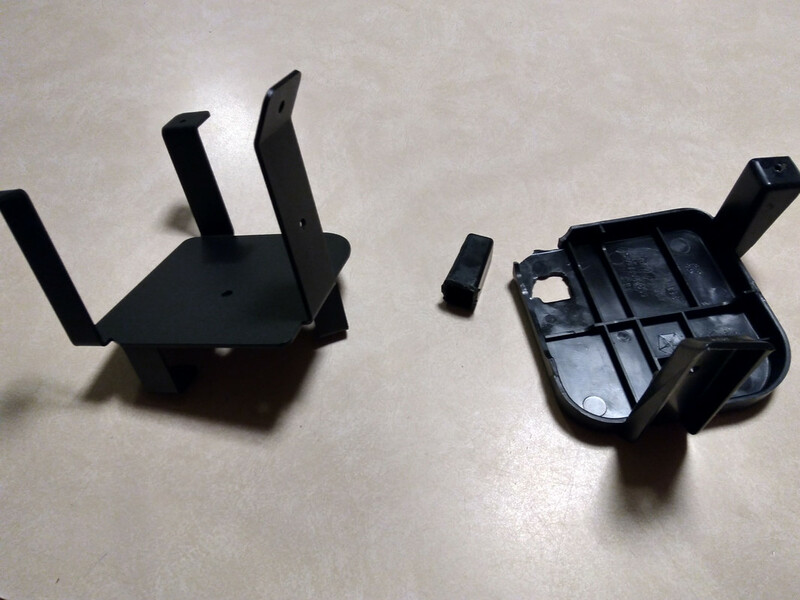 So here's a few "before" pics to document the process. 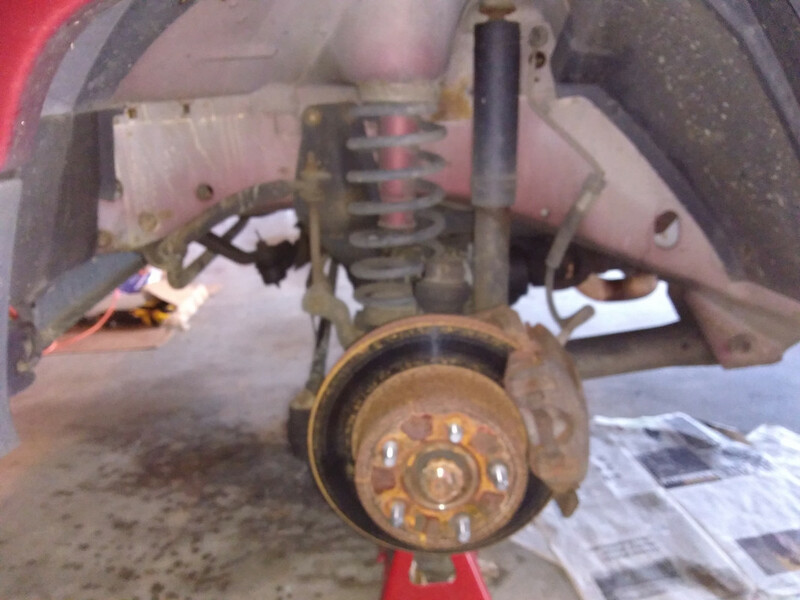 Can anyone tell me if the leaf springs look too flat, or if you see any other causes for concern in these pics? 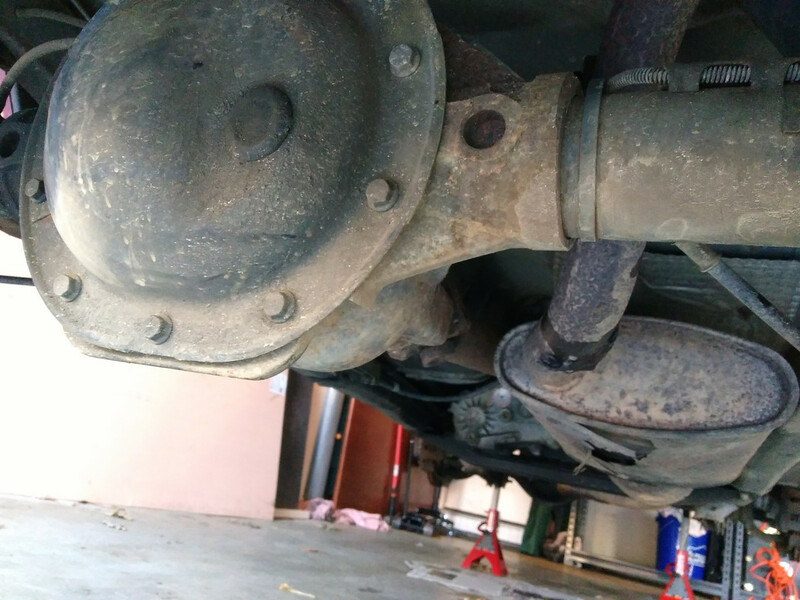 I was debating a modest 2" budget lift, but I am wondering if I need to divert that cash to new leafs instead... Also, can anyone here confirm my rear axle type? I believe it to be a Chrysler 8.25 Thanks. I believe you have an 8.25! 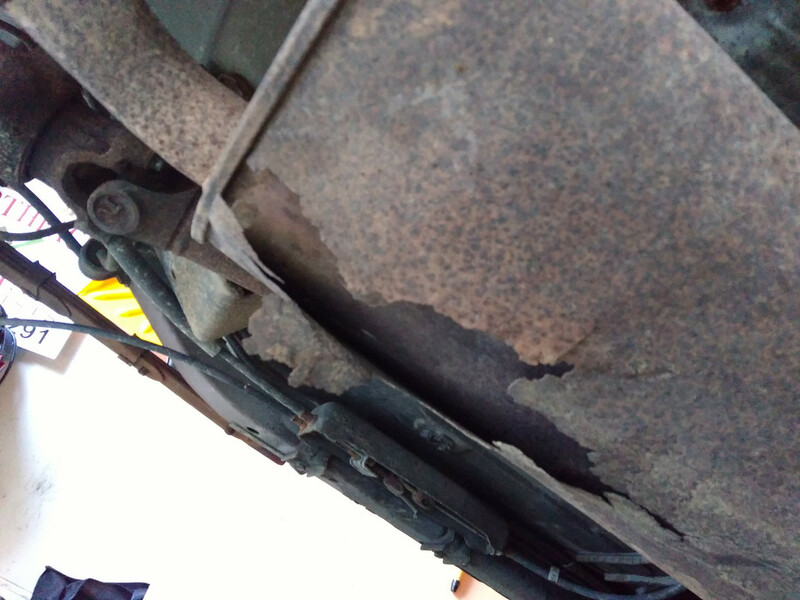 Why on earth would you have an exhaust leak? 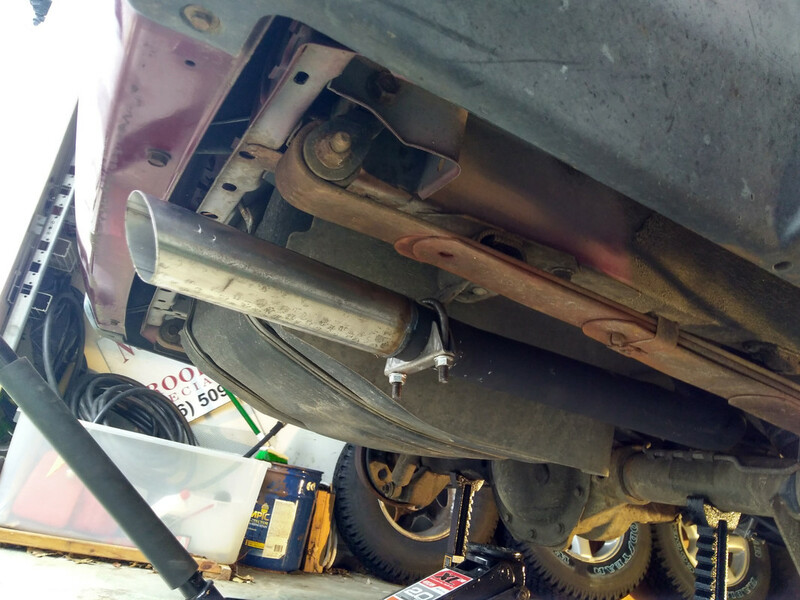 that muffler looks MINT!!! Those leaves look sad man. 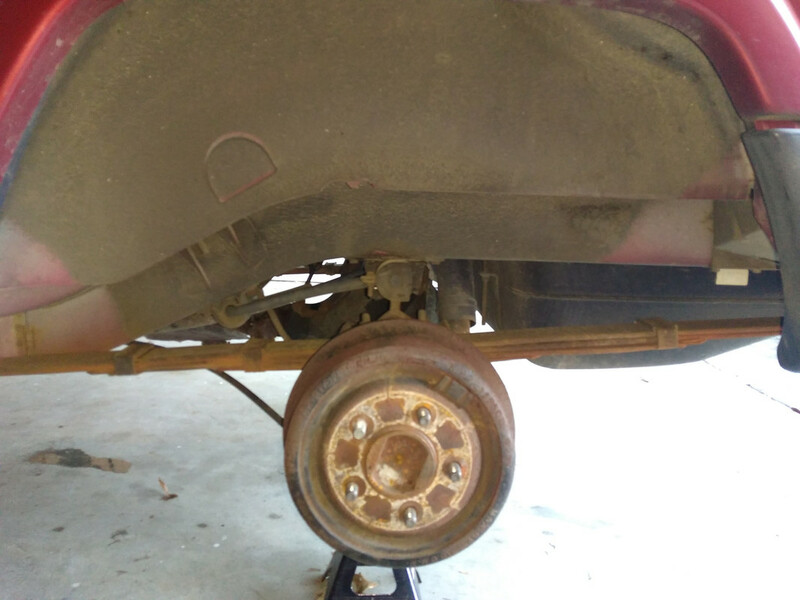 Edit: After some more research, I measured the distance between fender flare edge to center of hub, and everything checks out! Right at 17" in rear, and 17.5" in front. 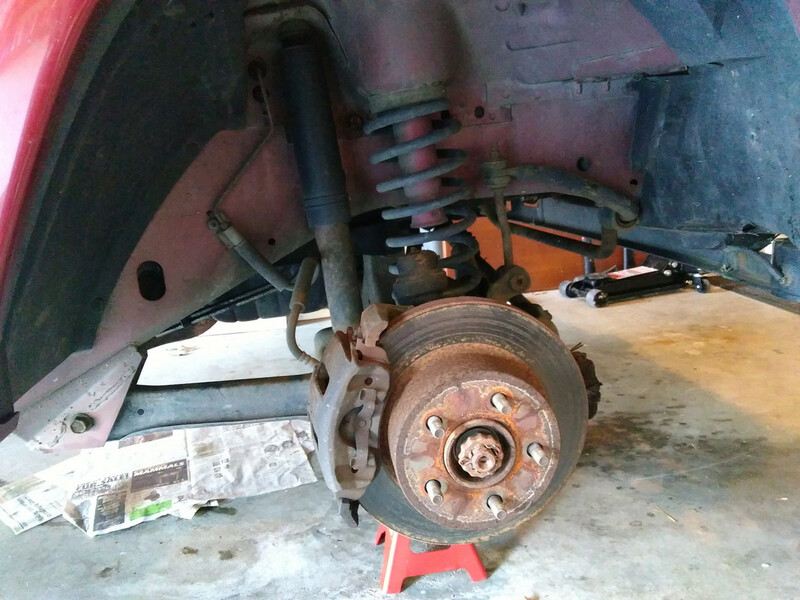 Going to hold off on new leaf springs for now. 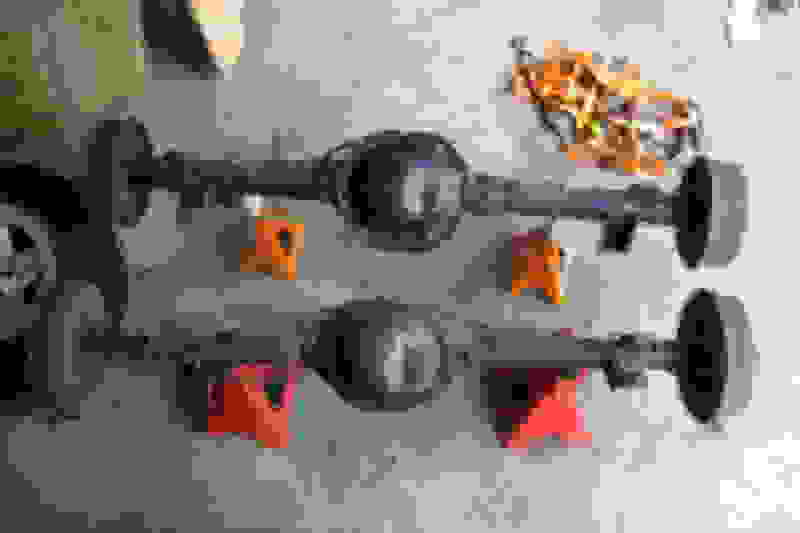 Last edited by PajeroXJ; 01-10-2019 at 10:32 AM. 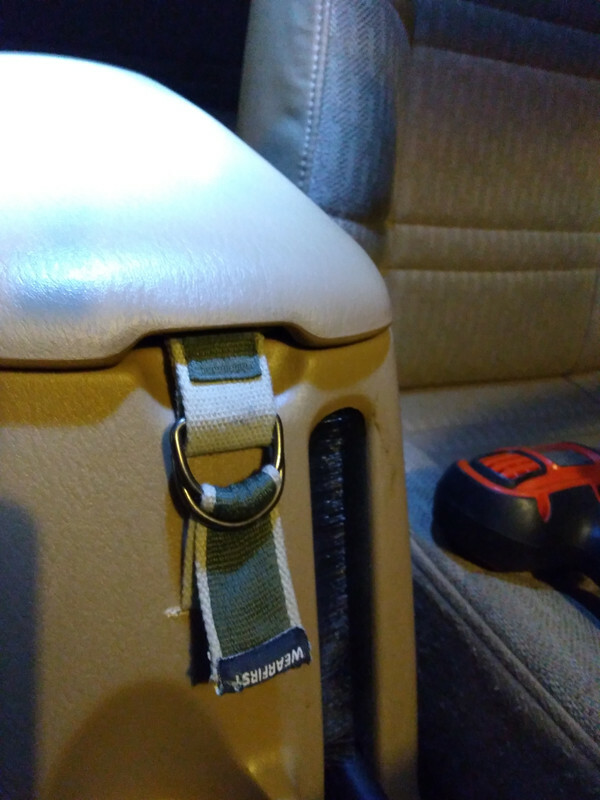 Finished up my custom armrest compartment strap over the weekend. Now the wobble is gone *and* the lid stays closed. Welcome to 1999! 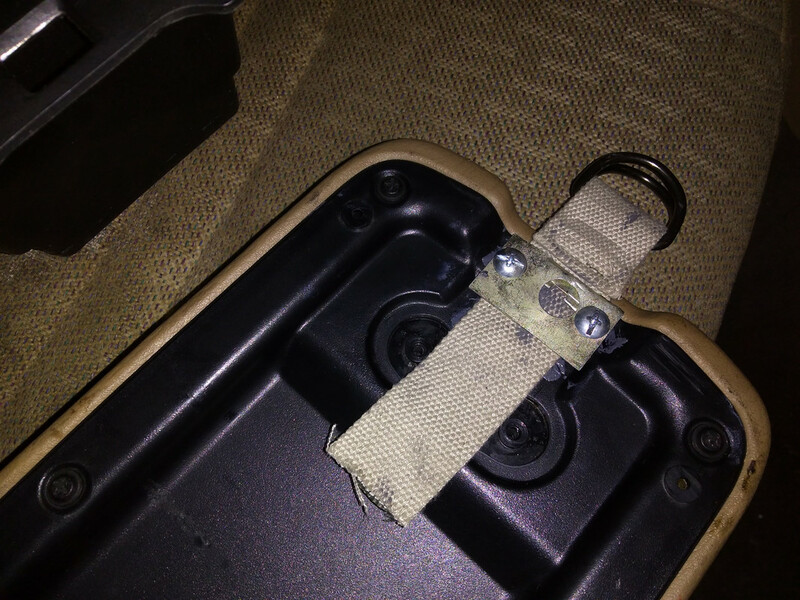 There's a company that makes an upgraded lid latch. JCR Offroad I think. Yes. It is metal but like $42. I see a good one in the boneyard I grab it. Betting I have at least 2 in stock. Ah thanks, good to know. 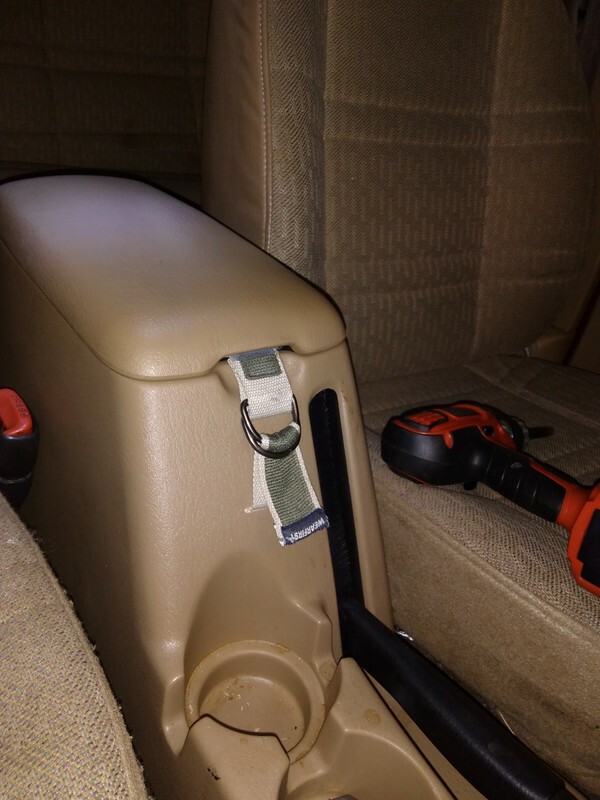 Well, this country fix only cost me tree fiddy, so I'm keeping it for now. 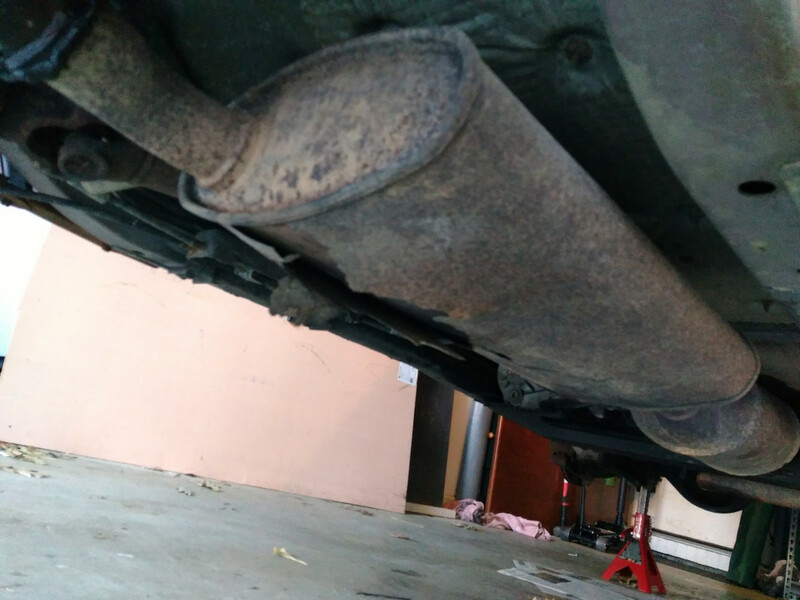 Time for the exhaust replacement. 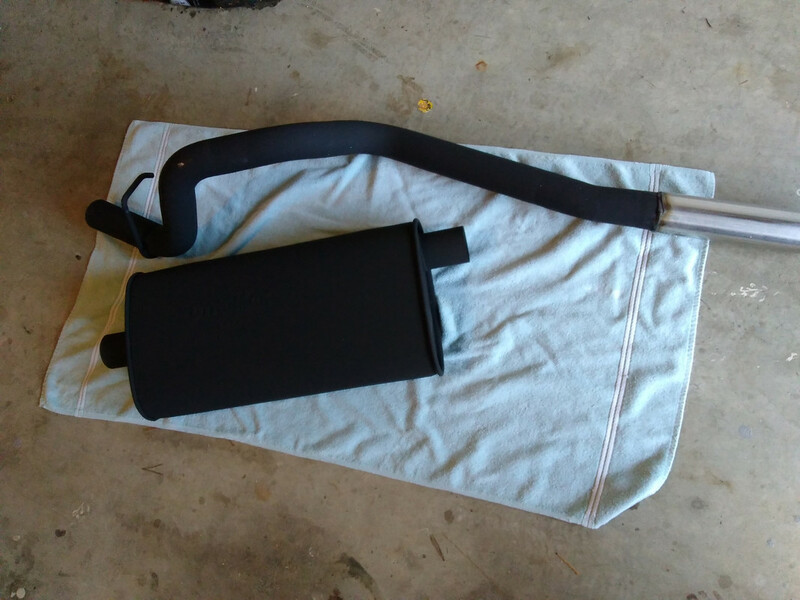 After some research here and online, I decided on the Dynomax Super Turbo catback kit setup. 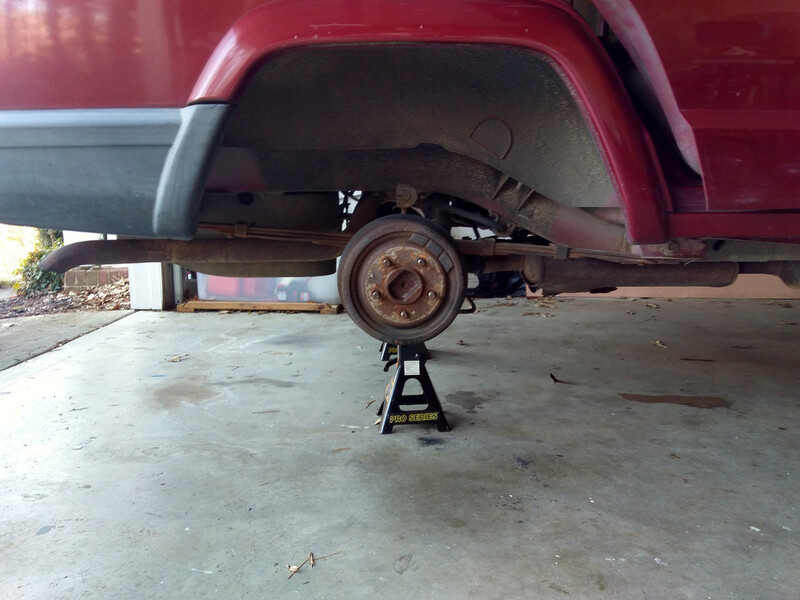 Today was a dreary morning in my area, so good chance to turn wrenches on the XJ. 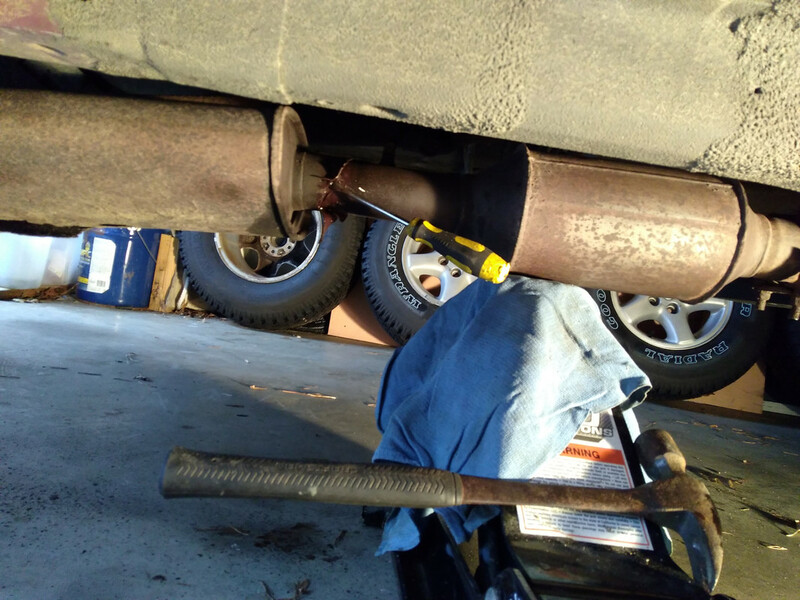 I had already prepped the muffler and tailpipe with VHT black paint, so I was ready to go as soon as the rotted old muffler gave up and let me take it off. 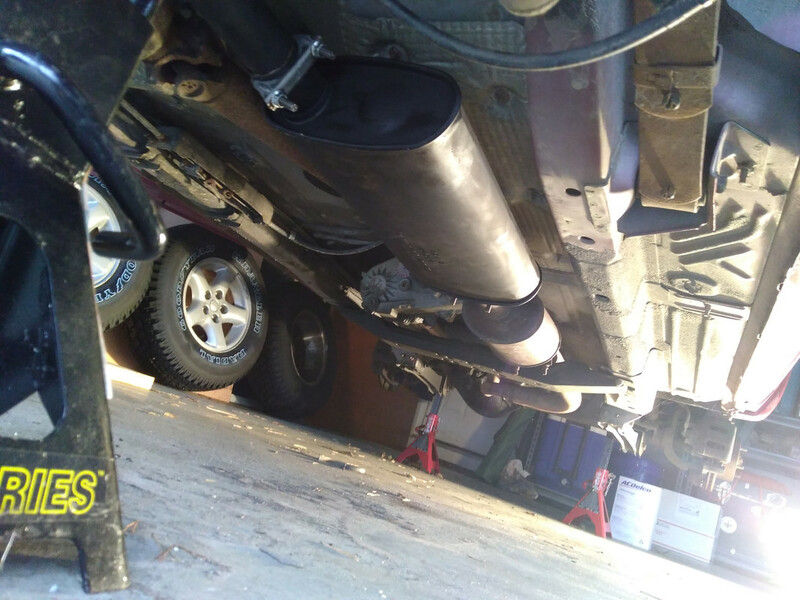 Before and after sound is definitely an improvement, and I feel like the Dynomax has a much deeper rumble than the stock muffler. I'm happy with it! How's the drone at freeway speeds?